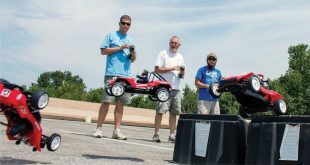 On July 12, 2015 TLR picked up yet another ROAR national championship in the 1/8 electric off-road category. 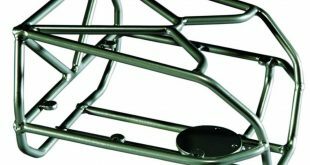 The car, the 8IGHT-E 3.0, is a proven, durable, easy-to-drive off-road piece of art. As I am sure you know, this race machine has a little brother, the 1/14-scale Mini 8IGHT! I am a sucker for classic Broncos and the HPI Crawler King certainly caught my attention. 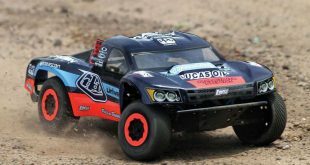 The 2.2-inch crawler seems set to capture the imaginations of those new to RC and the more experienced hobbyist as well. 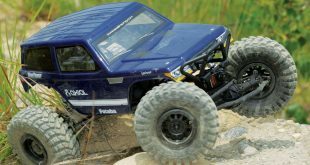 Whether you’re testing the limits on the technical trails or just bashing in the backyard, the HPI Crawler King is at home in all off-road situations. Since I got my first SCX10 a while back, I’ve been waiting for the next version of the Wraith to come out before pulling the trigger on one. The new Wraith Spawn is now available and let’s just say the wait was well worth it. It features all the same great things about the original vehicle, but with a few key improvements and a killer new body. 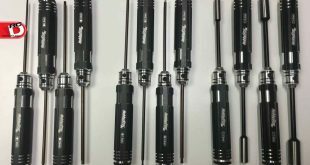 When wrenching on your vehicle, while at the track or in your home based workshop, having the right tool for the job makes life considerably easier. 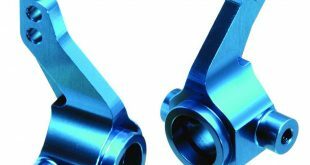 There is nothing worse than fumbling around through a tool box sorting through wrenches trying to locate the right size and getting frustrated grabbing a wrench too large or too small. So what do tomatoes, bowling pins and mud have to do with one another? Not a damn thing until now! We have your attention right? We can get pretty creative in the RC Driver offices and we’ve come up with a lot of wild project builds, but we wanted to do something that strayed far from the RC norm and that’s when we saw the Tamiya Kumamon DT02 buggy. 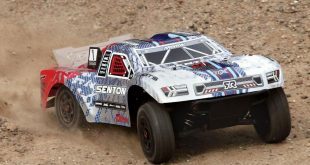 The Senton 6S is the newest vehicle in the rapidly growing line of high quality RTR’s that bear the Arrma brand. 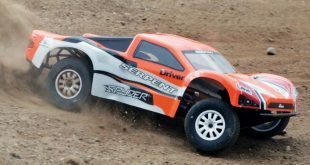 This beast of a truck is a 1/10-scale 4WD electric short course vehicle, however everything under the body shell is 1/8-scale in nature. Drifting is a segment in RC that requires full commitment on many levels to be successful. To really excel behind the wheel you need to dedicate a lot of time to practice and car setup that can often require some custom modification to get your car dialed into your style of driving. 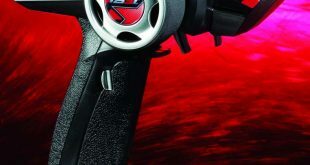 The TrackStar TS3t is a stylish looking, red, black and silver colored pistol grip 2.4GHz radio system designed for surface operations. 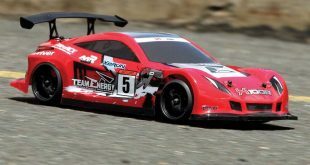 Turnigy's marketing department defines the TS3t moniker as follows: “TS” for TrackStar, “3” for three channels of control and “t” for telemetry. When I got into this hobby many years ago Serpent only made 1/8- scale nitro on-road RCs. From what I remember these were the fastest, most precisely tuned RCs out there and Serpent was considered the best. 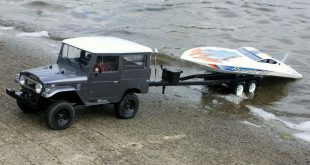 Just a few years ago they made the jump into the 1/8-scale nitro off-road market. 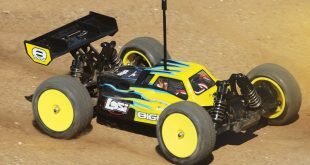 Losi’s fabulous TEN-SCTE 2.0 has seen quite a bit of success on the battlefield, winning everything from club races to National Championships. When it came time to produce an RTR version of this truck, Horizon didn’t just want to throw some entry-level electronics in it, they wanted to make sure their truck was fast, competitive and had a bold new look. Drift cars are becoming ever more popular each year it seems. Certain movie franchises and drivers like Ken Block are dazzling crowds and theater goers with their clutch burning performances. Couple that with all the hot new import offerings in the full scale market that are perfectly suited for drifting with high output motors and all-wheel drive. 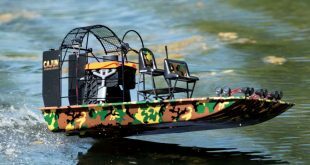 I keep a boat on Candlewood Lake in Connecticut and, while most of my lake-related RCing normally revolves around float flying and RC boating, I am always eager to try something new and the AquaCraft Cajun Commander airboat really fits the bill. There have always been boaters who have favored the scale side of the sport, building and replicating some of the most beautiful boats down to the minutest detail. But when their project is finished, it’s displayed, stored or toted to the pond on a few pieces of PVC pipe glued together. Really, people?